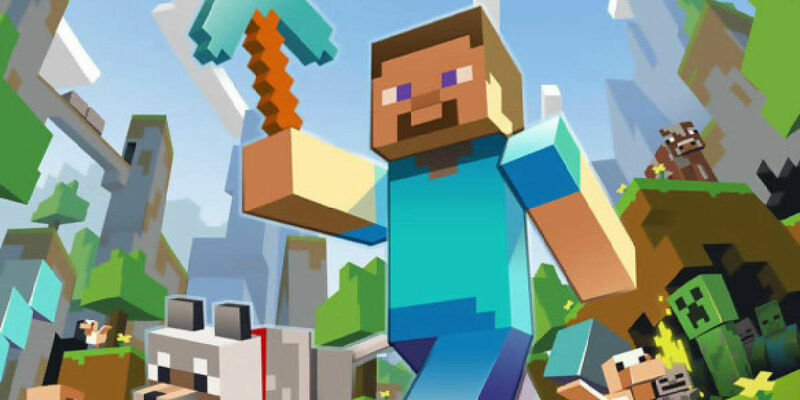 The forthcoming Minecraft movie has found a new director in writer/actor Rob McElhenney (It's Always Sunny in Philadelphia), with the feature film video game adaptation hoping to curry the favor of virtual architects across the world wide internet. McElhenney has been a central creative force behind the scenes and in front of the camera on television already, which bodes well for his directorial debut as a feature filmmaker. Other than McElhenney, no other cast members or key contributors have been officially announced for the Minecraft film. However, one popular musician appears interested in providing the score for the film version of developer Mojang's popular video game brand. Deadmau5 (born Joel Thomas Zimmerman), the highest paid and six-time Grammy nominated progessive-house and electronic music producer and performer, has put his name into the ring on Twitter, where it concerns the job of scoring the live-action Minecraft film adaptation - having asked Minecraft video game composer, C418, and chief programmer, designer, and Mojang company founder, Markus Persson, to put in a good word for him (see below). bet you they’re going to do a minecraft feature film. like they did the lego movie. if so, i volunteer to work with @c418 on soundtrack. Deadmau5's manner suggests genuine enthusiasm for the project, while simultaneously portraying the Canadian musician as being light hearted (and, potentially, a good fit for the project at hand). The musician even volunteered himself as "tribute" (in the same vein as Katniss Everdeen) in the development of the musical score for the film, after being directed one of our own Minecraft articles, no less. McElhenney may bring a spirit and joie de vivre to the Minecraft film, which would pair well with the property's longstanding reputation for creativity and untempered volition (moderated solely by the creator's own faculties for imaginative invention). Likewise, Deadmau5's eagerness to collaborate with Mojang house composer C418 speaks to the house music megastar's love for the Minecraft property as it already stands. Keeping in mind certain producers from The LEGO Movie are working on Minecraft, Deadmau5 might find himself right at home with the team already established in the production of McElhenney's directorial debut. It's hard to say just where the Minecraft movie will go in terms of narrative (much like the case for the upcoming Angry Birds animated feature film), but there's arguably potential for the movie to be a Lego Movie-style zany adventure in its own right. We'll keep you updated on the Minecraft movie as it continues to develop.